On December 6, The New York Times released their year-end lists for the best songs, albums, movies, TV shows, and more of 2018. 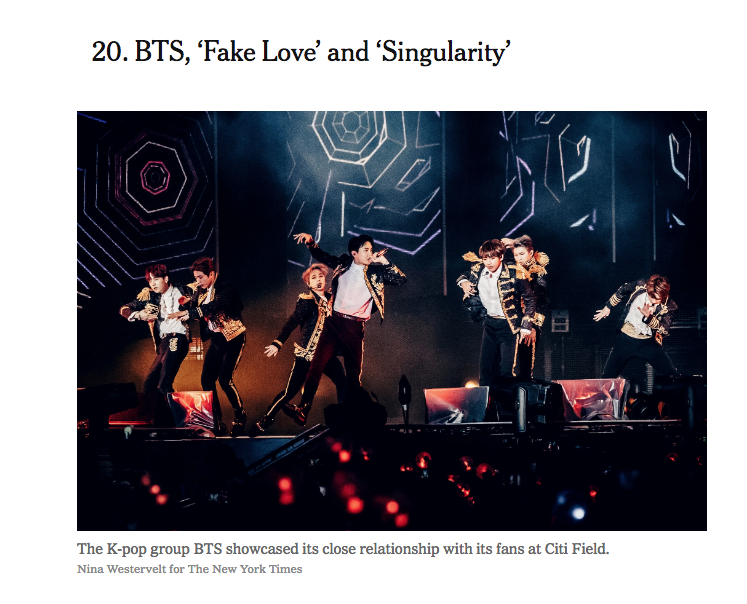 In the best songs list, BTS with "Fake Love" and "Singularity" was 20th and Black Pink with "DDU-DU DDU-DU" was 31st. BTS and Black Pink are the only K-pop acts to make it on 'The 65 Best Songs of 2018.' Congratulations! Well done to the king and queen of kpop 2018!